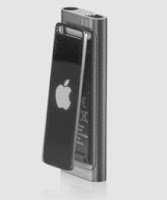 The "world's smallest music player," iPod Shuffle —just 1.8 by 0.7 by 0.3 inches. Recently announced in Apple's Website. 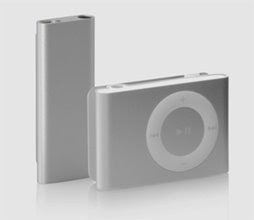 The new iPod Shuffle is available in silver and black luminations comes with 4GB of storage for $79, just $10 more than the old 2GB version. The circular navigation pad from the last-generation Shuffle is gone; instead, you get a new in-line control on the earphone cord, which includes volume up/down buttons, plus a center control that lets you pause and skip tracks. 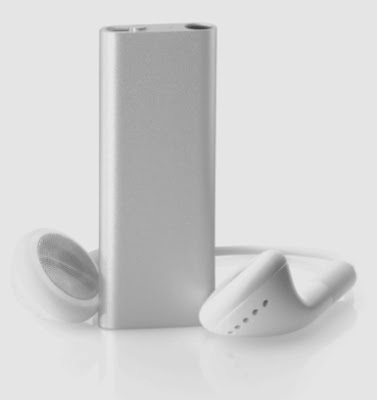 An added feature for this iPod Shuffle is the computerized voice that tells you the track name and artist of the song you're listening to. Just press and hold the center key of the Shuffle's in-line controller to hear VoiceOver speak. Though its kinda robotic like Windows XP Narrator Utility if you happen to use that one. Drawing a line between Mac and PC user, Apple decided to give VoiceOver a male voice when synced with a Mac and a female voice for PC music lovers. Hmmm, this is for what? 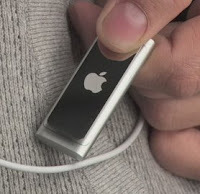 Lastly, the new iPod Shuffle got a playlist!, Your doubt of this? You might doubt of it beacuse there isnt any LCD that can be used to have it. Believe it and find its usability here at Apple's site. 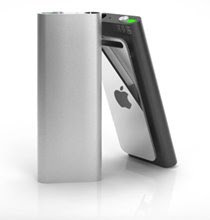 All Picture Credits to http://www.apple.com/ipodshuffle/. 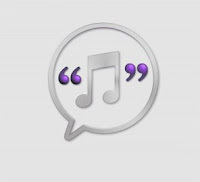 2 comments: on "Apple iPod Shuffle | Smaller iPod Shuffle"
"Drawing a line between Mac and PC user, Apple decided to give VoiceOver a male voice when synced with a Mac and a female voice for PC music lovers. Hmmm, this is for what?" - What's up with that? Chauvinistic much? hehe, Mac is Masculine whike PC is Feminine. Palit ka ani mai?